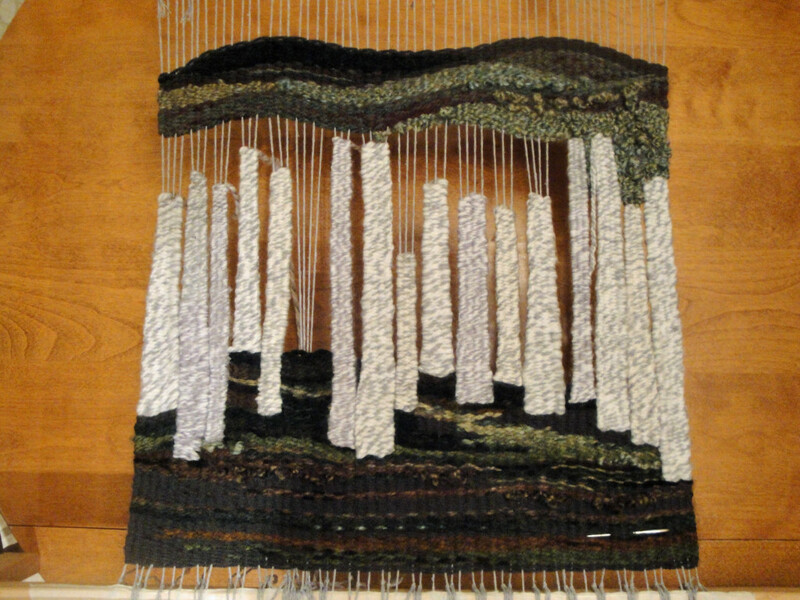 My mom made an incredible weaving of a birch tree forest near where she was born in Gander, Newfoundland. This summer when I visited, she showed me some looms she had picked up for a few dollars at thrift stores. 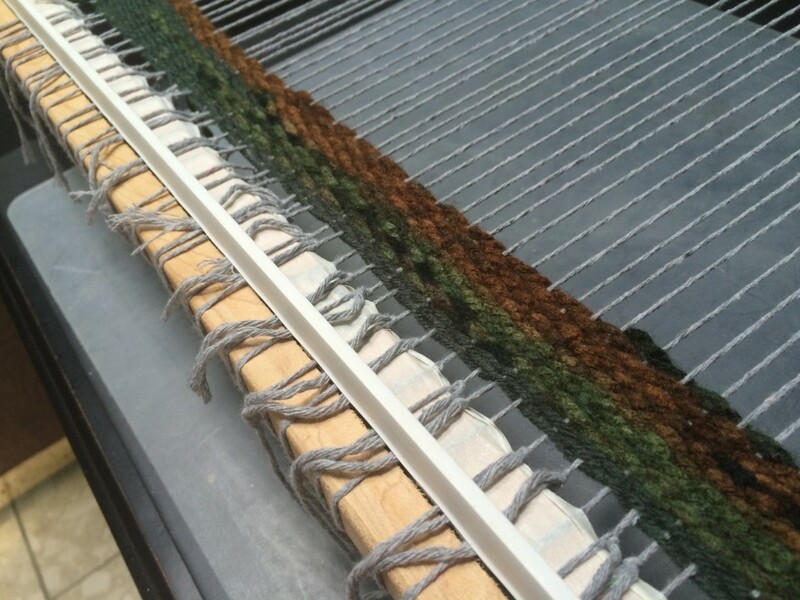 We put a warp on a frame that was really more for keeping a rug hooking canvas tight, but it had metal spikes that we could wrap the warp threads around, and plastic covers to keep Mom from gashing herself on the spikes. It cost $4.00. 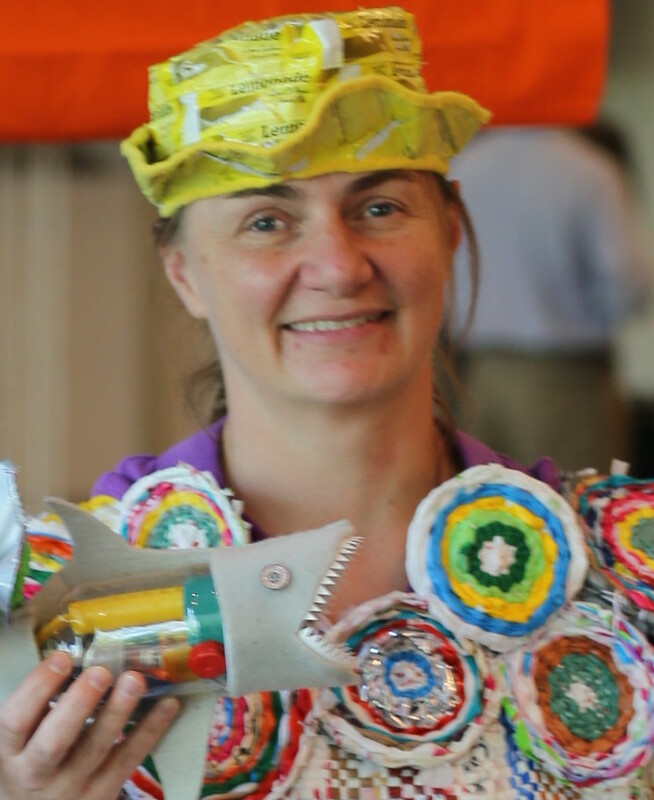 Who says weaving is an expensive art? And then she was like a duck to water, as she is with all art. Mom had wanted to make this weaving for a long time. When I was girl, we lived in Toronto where my parents were taking lots of courses for fun. My dad took courses in electrical, small engine repair and woodworking. My mom took a weaving course where she made a weaving like this but smaller. That was 40 years ago and she has not done weaving since. When she saw me weaving in recent years, it reminded her of how much she liked weaving. She started purchasing balls of yarn at the thrift stores that she thought would add the right textures. 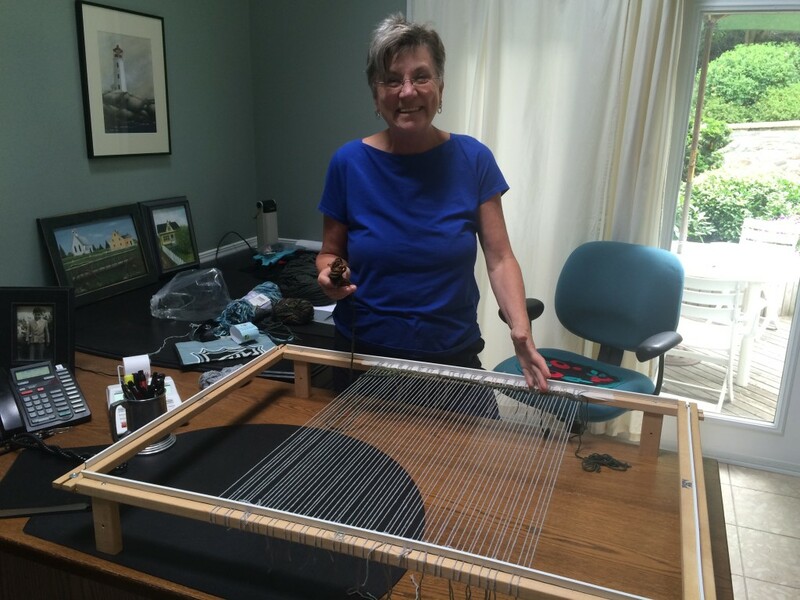 Even though she likely could have figured out how to weave without my help, she waited until I was in Nova Scotia for a visit to get my thoughts on which loom might work best. My parents grew up and I was born in Gander. (If you have heard about the new hit musical Come From Away, that is about Gander.) There are birch trees near there. 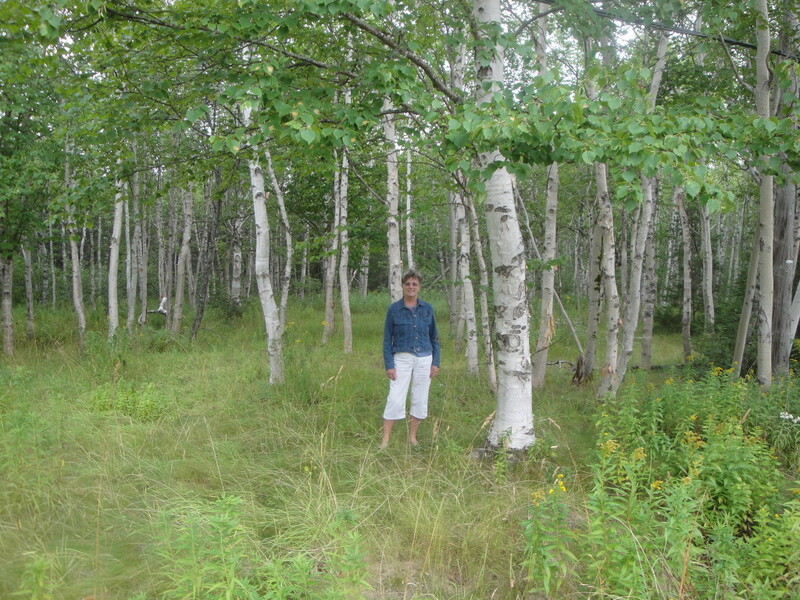 Mom says birch are prominent on the old airport site and for miles along the Gander Bay Road. 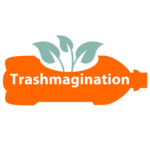 Mom had a vision for this piece that I think was ambitious and visionary. 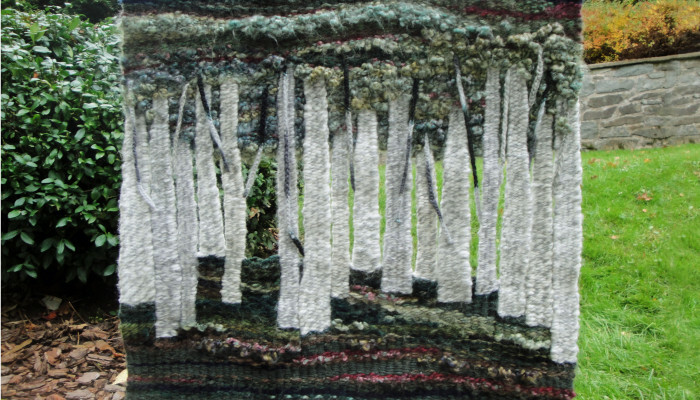 She wanted the birch tree trunks to be separated from each other, rather than one solid piece of weaving. It gives the impression that you can travel in between the trees into the forest. She wanted there to be one gap that was larger than the others. She emailed me at one point asking if it might impact the structural integrity of the piece to have this gap. You can see this photo where she still had the warp strings in that spot. But it worked out fine because it was not that big of a spot. Congrats to my Mom for making such an extraordinary weaving!! I love it!